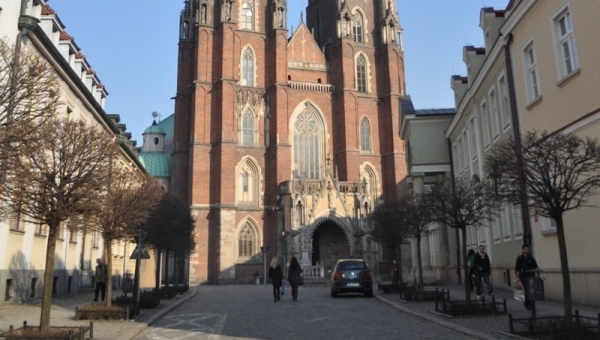 Three nights into my stay in Wroclaw and I find myself passionately defending the south-western Polish city against the taunts of a friend – we’ll call him Patrick – who has arrived to play a gig here and has quite unfairly taken against the place. He arrived this afternoon, travelled from the airport directly to a rehearsal room, and then onto this small bar near our hotel where we are having this argument. He has seen barely anything of the city or its people, yet apparently has no problem denouncing Wroclaw as “boring”, “soulless” and “just another former Soviet metropolis”. Enraged on the city’s behalf, I’m having none of it. Having spent two and a half days wandering around Wroclaw’s old town, which is reminiscent of Vienna or Brussels, enjoying the city’s varied cultural offerings and indulging at several excellent eateries, I feel well qualified to assert that Wroclaw is very far from boring. I admit that the bar we have ended up in this evening is unimpressive, but that’s Patrick’s fault, not Wroclaw’s. On this same street, Wojciecha Boguslawskiego, which skirts the southern ring road of the old town, are a dozen other bars, each occupying an old railway arch. We picked this one, rather than one of its buzzier, busier, funkier neighbours, because Patrick said he was exhausted and wanted a place with space to sit down. And while the bar itself may not be anything special, the staff are friendly and the drinks are cheap. Just like pretty much everywhere else in Wroclaw in fact. My grumpy pal’s bad attitude stems mainly from the fact that before being booked to play a gig here, he had never heard of the place (not that I can claim any superiority on that front, I’d never heard of it either). Krakow, Warsaw and Gdansk are by now established city break destinations for British travellers, but for some reason Wroclaw has remained in the shadows, despite having a huge amount to offer foreign visitors. The next few years are likely to see a significant increase in visitor numbers to Wroclaw: next year Euro 2012 will put the city on the map for football fans, and in 2016 Wroclaw will proudly bear the title of European Capital of Culture, attracting considerable media attention if the interest stirred by past capitals of culture is anything to go by. For the moment though, it’s still a well kept secret: a city with all the charm and convenience of a European capital, but without the expensive price tag. 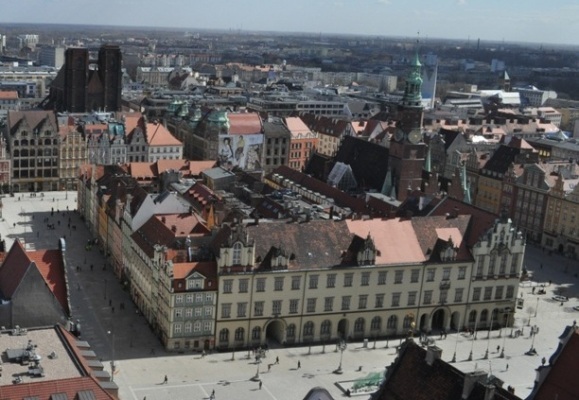 Wroclaw plays host to 40 festivals a year, from jazz and choral singing to film and theatre. Such is the astonishing number of events going on that it would be almost impossible to come to Wroclaw and fail to catch a festival. Patrick is here, in fact, for Przegląd Piosenki Aktorskiej, a festival celebrating music theatre. His gig, the evening after our argument in the bar, is extremely well attended, something of a surprise given the lack of music theatre heritage in Poland. The people of Wroclaw are clearly a culturally curious bunch, and this openness makes the city a fantastic place to visit. As well as Patrick’s music theatre festival gig, during my visit to the city I caught a concert by the Malian musician Bassekou Kouyate at the Filharmonia Wroclawska, a one-man play featuring transvestism and jazz at the Teatr Polski, the obscure Polish opera, King Roger, performed in the luxurious surroundings of the city’s 19th century opera house), and a live late-night funk jam at Schody Donikąd, a decadently decorated old town bar. 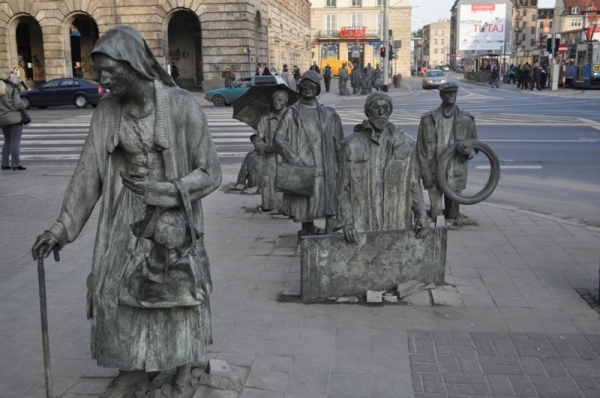 You can’t move in the city for outdoor art works: enormous graffiti murals adorn walls; statues appear to breaking their way out of the pavement; 150 diminutive bronze dwarf figurines – unlikely symbols of Wroclaw’s proud role in the fight for democracy in Poland in the 1980s – dot the urban landscape. The journey from the airport in uninspiring – my friend is right about that, at least – low-level, ugly, post-war architecture that was built after the city was bombed to smithereens by both the Allies and the Germans, but the centre is undeniably lovely, having been sympathetically rebuilt. I press Patrick on this – surely he can see the attraction of the Rynek, Wroclaw’s main square, with its extravagant 14th-century City Hall, picturesque shops and bars, and distinct lack of irritating tourists? He admits that he hasn’t been there yet. And what about the cluster of islands in the River Oder in the very centre of the city, and the criss-cross of bridges that connect them? He must acknowledge this area’s atmosphere of serenity, as well as the impressiveness of the many churches on the islands? Nope, he hasn’t been there either. And the Raclawice Panorama, the city’s pride and joy, a huge circular painting of an 18th-century battle housed in a specially constructed bunker? Never heard of it, he says. Presented with this barrage of information – I am like a talking guide book by this point – Patrick begins to back down. Perhaps he has been unfair and Wroclaw might be worth investigating after all, he admits. The following day he has some time off before the gig and I take him on a whistle-stop tour of the city, including a visit to the National Museum to see its engaging collection of contemporary Polish art; a race up the 300 steps to the observation deck of St Elisabeth’s Church, which overlooks the Rynek; and a stop at Spiz, the micro-brewery beneath the City Hall for a refreshing wheat beer. 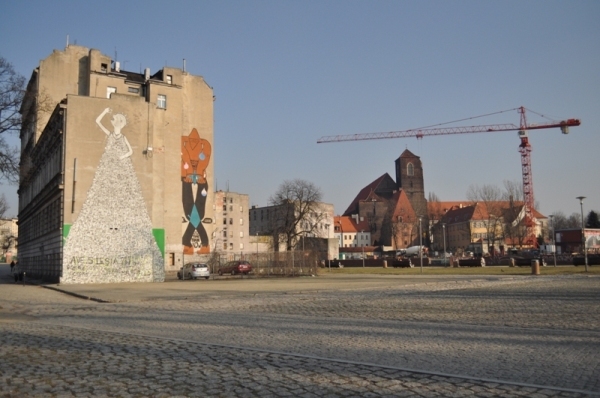 It’s only a taster, but enough to show Patrick that Wroclaw has a lot going for it. “Just another former Soviet metropolis”? I think not! 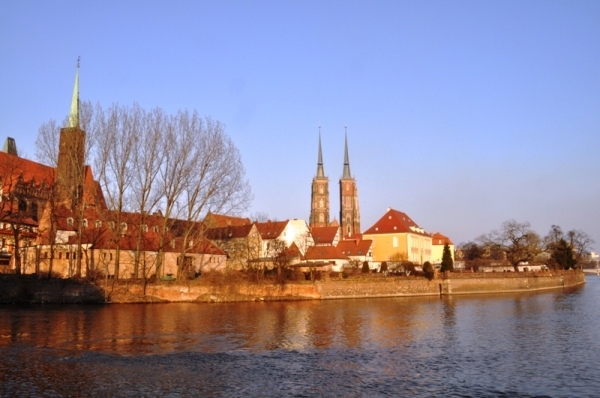 Ryanair and Wizz Air fly to Wroclaw from London Stansted and Luton respectively. Hotel Wroclaw is a no-nonsense business hotel. Informal brasserie-style dining in a top city-centre location at Bernard on the Rynek. Kuchnia Marché is a good-value buffet restaurant offering a range of international dishes. Head to Lwowska for traditional Polish cuisine. On a street full of super cool bars popular with Wroclaw’s students, Mleczyrnia stands out. Try the home-brewed delights at Spiz, a micro-brewery located beneath City Hall that also boasts an old-fashioned dining room. At Schody Donikąd, you can listen to free live music until the early hours.